Even though I have been mostly focused on acquiring different bottles of GIN this year, and doing my own tastings and self education, I have made it out to a few bars. I have found that GIN is growing in popularity in New Zealand and several bars have made and effort to either grow their selection of GIN or even make the spirit selection or bar a focus on GIN. Here is a list of GIN bars I have enjoyed so far this year. If you know of others please do share as I would love to check them out. The Gin Room – 1st Floor, 12 Vulcan Lane, CBD. Over 80 GINs, and a good selection of different tonics. 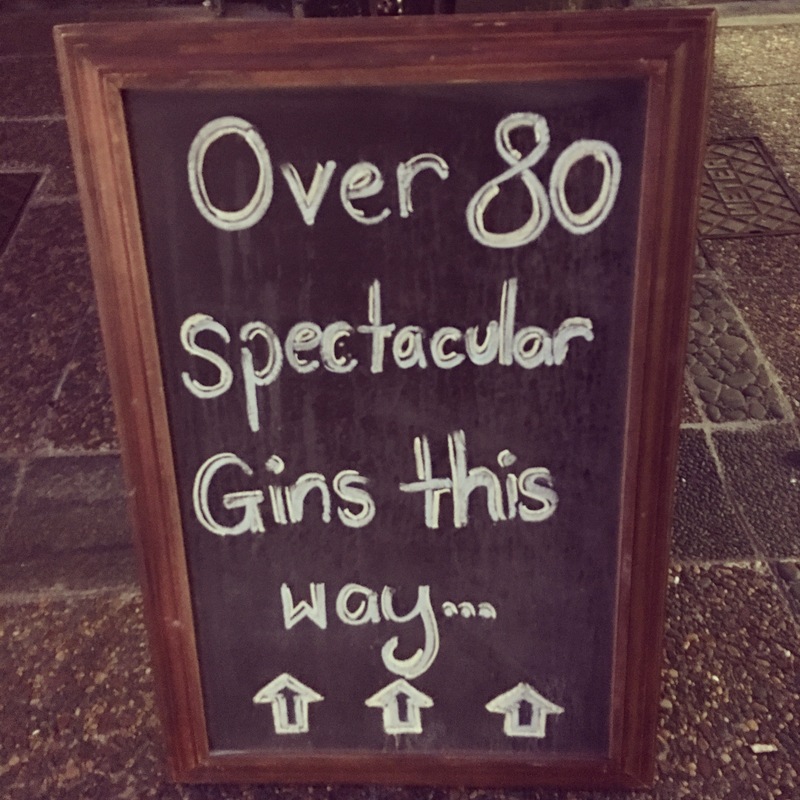 The Cork Gin & Whiskey – 65A Mackelvie Street, Ponsonby connected to the back of Grand Central. Pretty good GIN selection, really good Whiskey selection. My Bar – 12 Durham St E, Auckland, CBD. Not the the largest selection, but some interesting GIN and Asa is passionate about GIN. Mea Culpa – 3/175 Ponsonby Road, Ponsonby. I haven’t been for a while, but they had a pretty decent selection GIN last time I was there. Soul Bar – 16-18 Corner of Lower Hobson Street and Customs Street West, Viaduct Basin, CBD. Pretty limited selection, but make some of the best Martini’s and Negroni’s I’ve had in New Zealand. Hawthorn Lounge – 82 Tory St, Te Aro. cocktail lounge, that has a GIN named after it. Lighthouse Hawthorn Edition (Navy Strength GIN). Great cocktails, decent selection of GIN. Capitol – 10 Kent Terrace, Mt Victoria. had a fantastic Negroni here recently, before dinner. Whet Bar – 151 Cambridge Terrace, CBD. A selection of some of the harder to find GINs in New Zealand. Very cool to try GIN you never see in New Zealand. I’d love to find more places focusing on GIN in New Zealand, so I can share a list with people that love GIN. On February 2 the Englishman is jetting to Trinidad and Tobago, a twin island country off the coast of Venezuela. There he will compete in the Angostura Global Cocktail, competing alongside some of the best bartenders in the world for US$10,000. Born and raised in London, Attfield now lives in Eden Terrace. He arrived in Auckland just three months ago after his visa ran out while living in Melbourne. Attfield says he never intended to be a competition bartender – he entered on a whim after being encouraged by a friend. Attfield is already a part-owner of the Gin Room, a prestigious establishment on Vulcan Lane. Career bartending was a natural calling for him after sitting in an office for two years drove him to boredom. “I think it’s the constant interaction and getting to meet new people every day,” Attfield says. Working in a dynamic industry also keep things exciting, he says. Since arriving in Auckland he’s found plenty of opportunity as there’s still a few holes in the New Zealand market, he says.